The very first mirrorless lens we ever bought was the M.Zuiko 12mm f/2 for our Olympus OM-D E-M5 and for the longest time, it was the only lens we owned for the system. 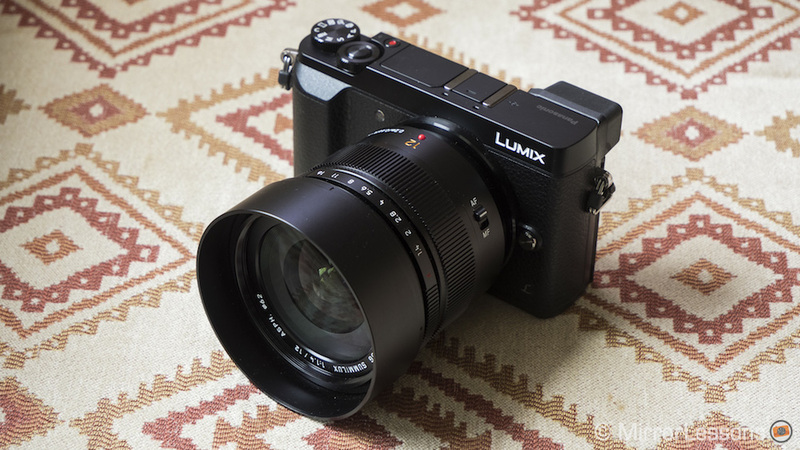 Though we’ve since sold it and the E-M5 to fund other gear, it is still one of our favourite primes because of its excellent optical quality and versatile focal length, which equates to 24mm in full-frame terms. 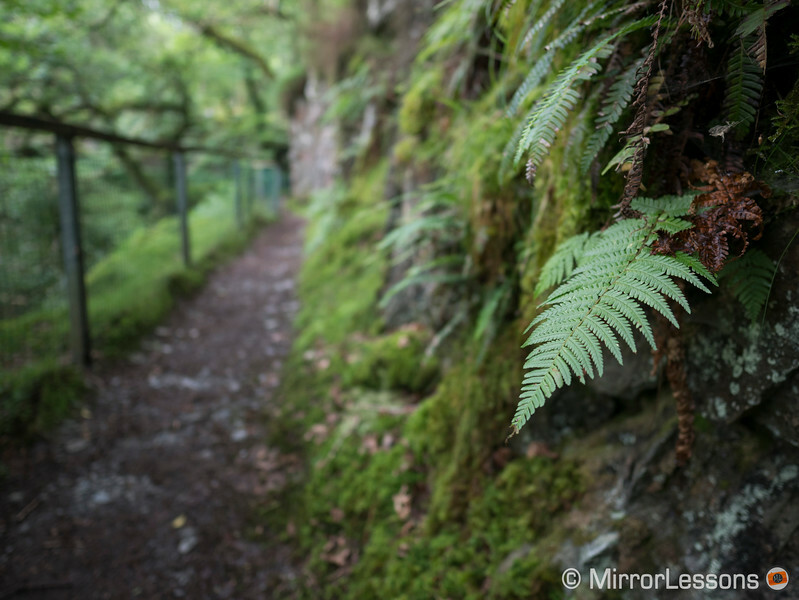 Update: our 12mm f/1.4 complete review is now online! 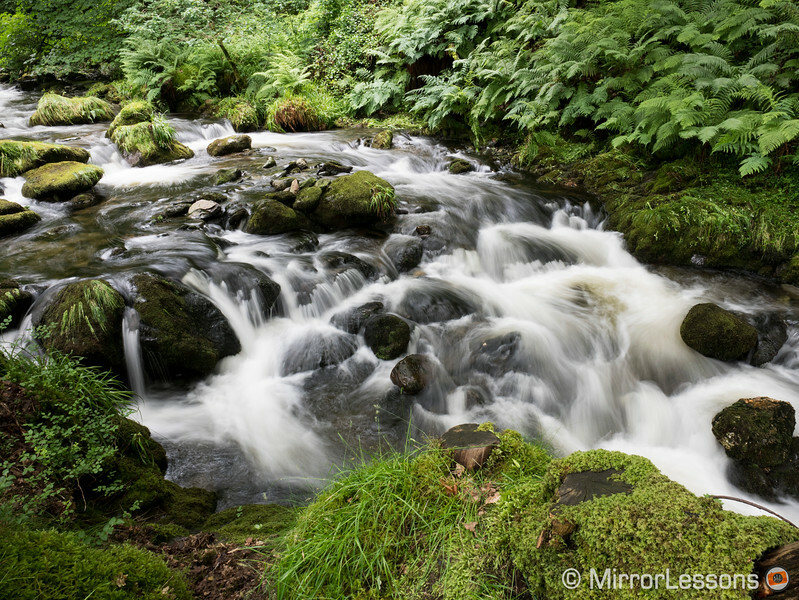 Today, Micro Four Thirds users have not one but two 12mm autofocus options to choose between. The new 12mm f/1.4, which arrived on our doorstep a couple of days ago for testing, is the Panasonic’s latest premium lens produced in collaboration with Leica and, without going too in-depth, I can confirm that it is everything you’d expect from a Pana-Leica product: excellent sharpness across the frame even at the fastest aperture, great micro-contrast, fast and silent autofocus, and top-of-the-line build quality. We should have the full review of this lens up in a couple of weeks but in the meantime, we invite you to look at our first set of sample images to get a sense of how the 12mm performs. 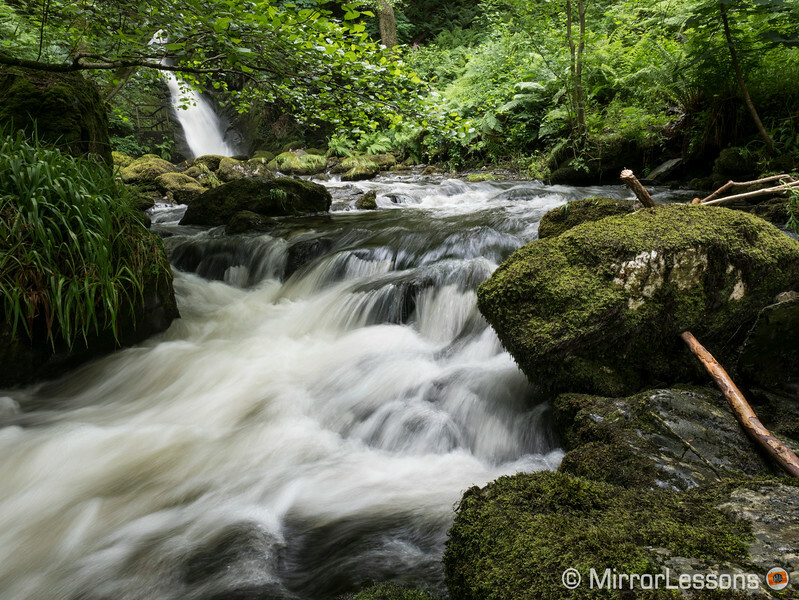 All the images were taken at three of our local attractions, the Talyllyn Railway, Dolgoch Falls and Tywyn Beach. Click on any of them to see a full resolution version! 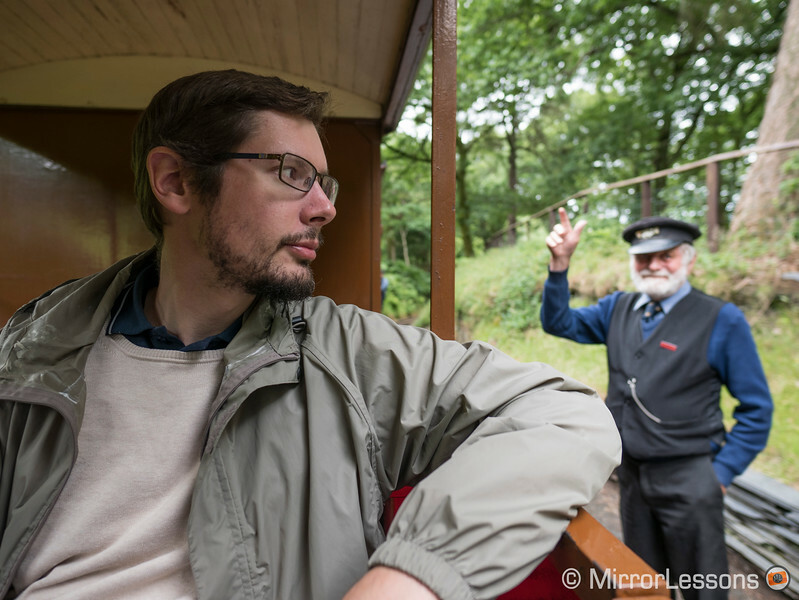 One of the conductors gives us a friendly wave as we travel from Dolgoch Falls to Tywyn on the Talyllyn Railway. 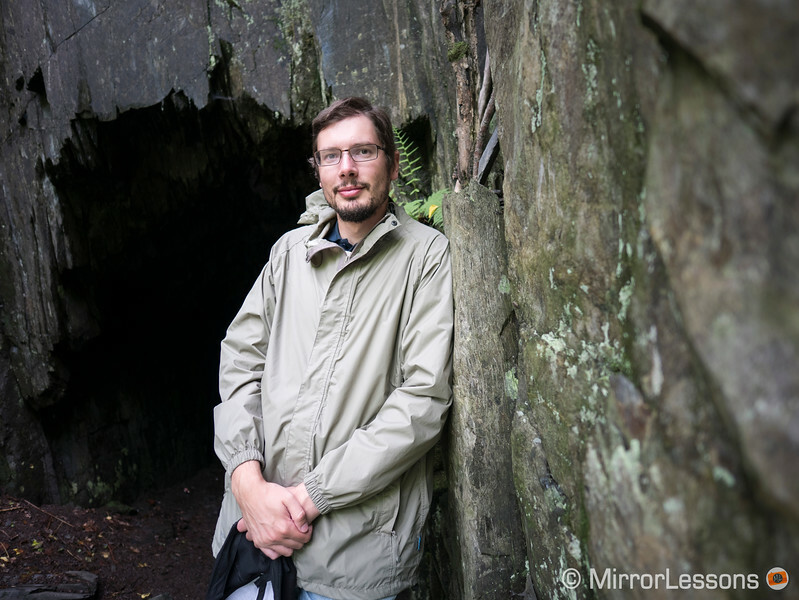 The riverside walk at Dolgoch Falls is littered with small, dark caves such as this one. Mathieu was a little too tall to fit inside! You can focus as close as 20cm with the Pana-Leica 12mm, making it possible to render a blurry background as long as you use the fastest apertures. Even on a sunny day, the thick canopy stops the sun’s rays from filtering down to the ancient forest. Despite not having our LEE ND filter with me, I was able to take a few long-ish exposures of the rapids. 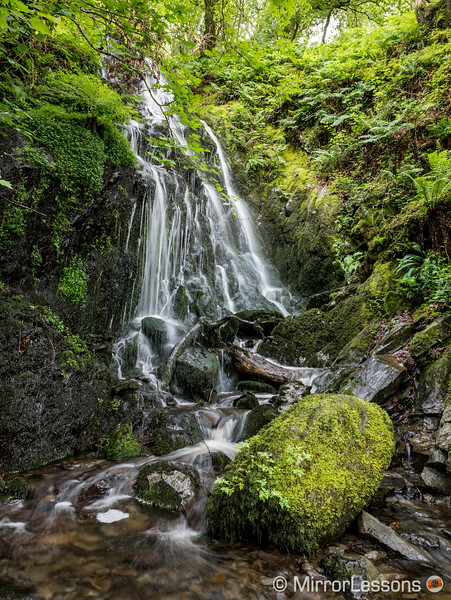 One of the prettiest waterfalls at Dolgoch (pictured above) is also one of the least dramatic. It lies beside a bridge that takes you to the heart of the forest. 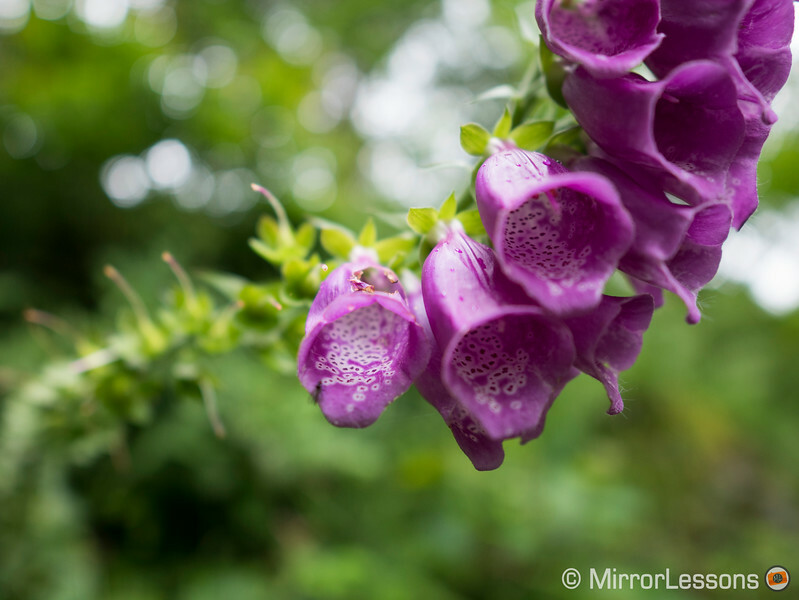 Here is another example of how you can achieve a shallow depth of field with this lens by using the fastest aperture and focusing close. 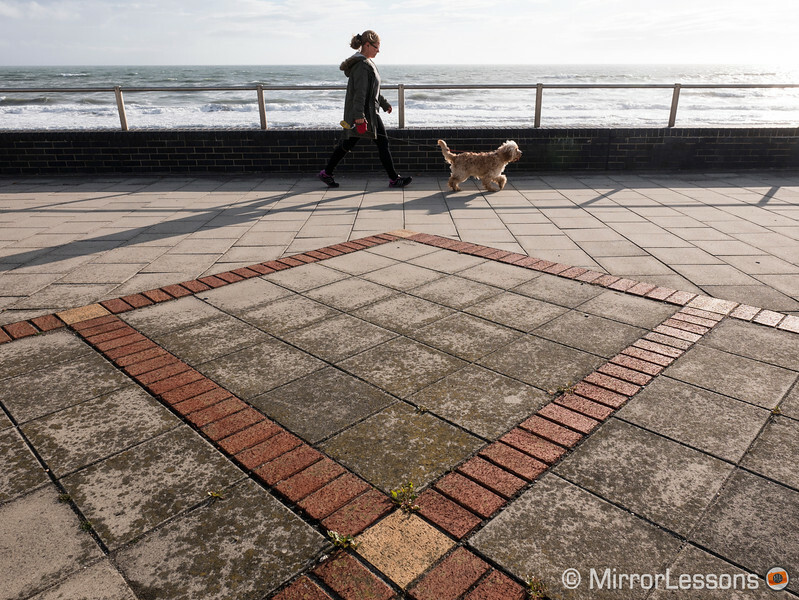 During the summer months in Wales, you’ll find many people walking their dogs along the prom. 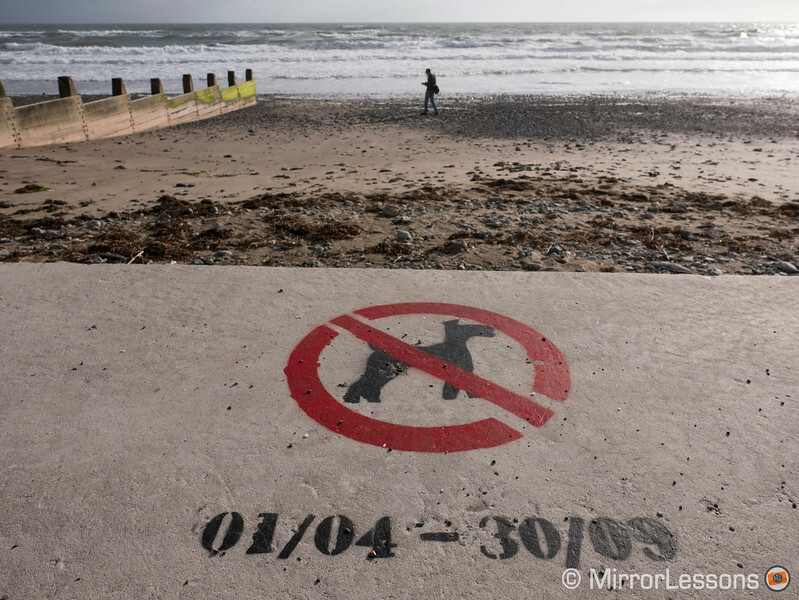 However you aren’t allowed to take your dog on the beach at certain times of the year. 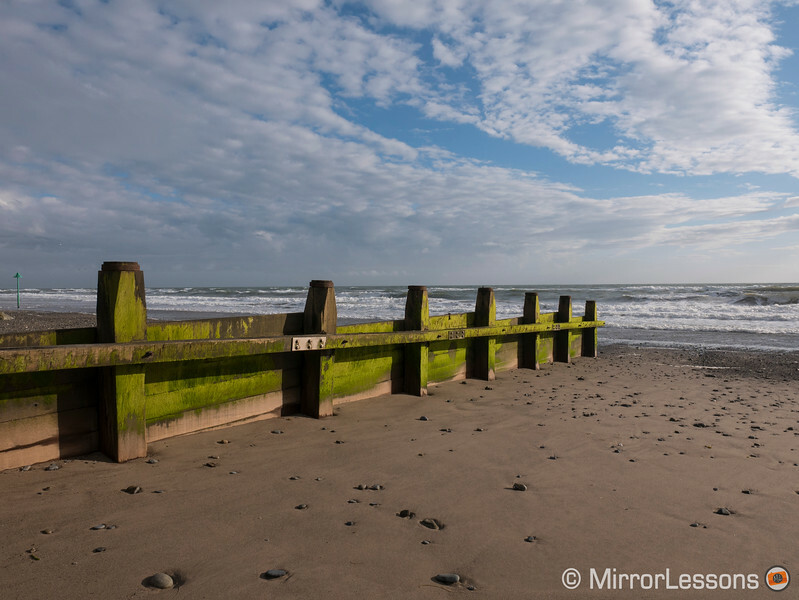 Beautiful Tywyn Beach gleaming in the later afternoon sunshine after a day of heavy rain. Are you interested in the Pana-Leica 12mm f/1.4? We’d love to hear your thoughts, and if you have any questions, please don’t hesitate to leave a comment below!